“For a long time there have been rumors that Latinos come here to take,” the translator said. “We’re here to show that Latinos give.” The man speaking in Spanish before the crowd in front of city hall was Juan Gonzalez. I’ve known Juan for several years, but I did not know he was pastor of a church in Lynn, Le Voz Eterna, until today. I had always known him as a top-notch chef. Then he went on to found a bilingual magazine. 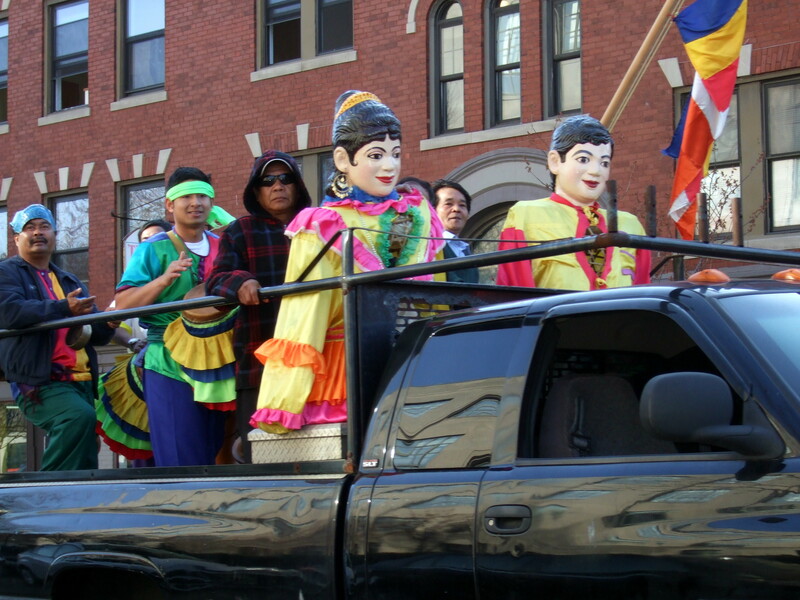 Now he is mobilizing the Latino community in Lynn. 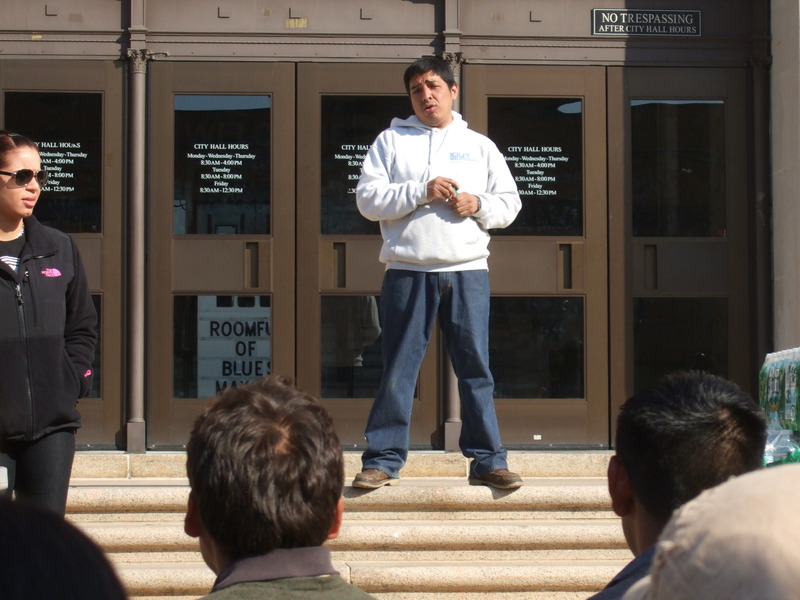 About a month ago, Juan started knocking on the doors of businesses and conferring with the pastors of other congregations. 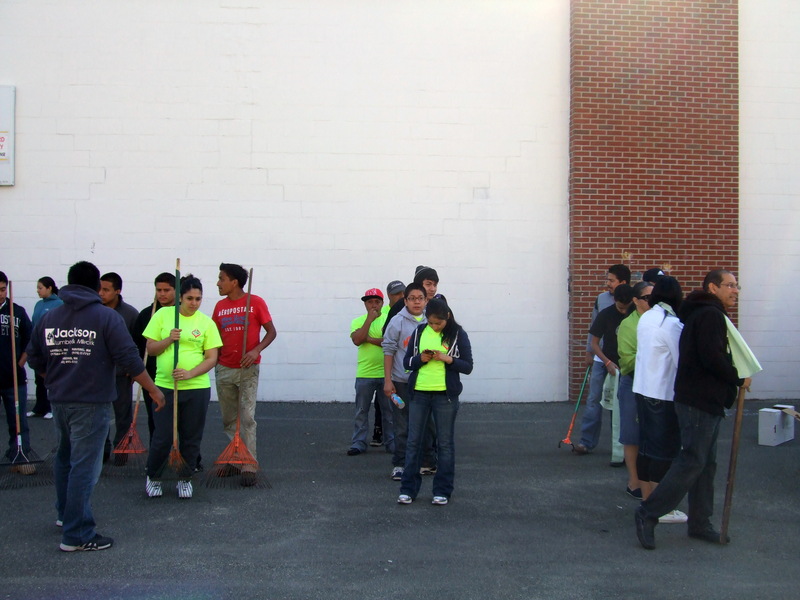 He was organizing a neighborhood cleanup with a stated goal of 300 volunteers. Good luck with that, Juan, I thought. He got the word out on Facebook and through his magazine, Without Borders. 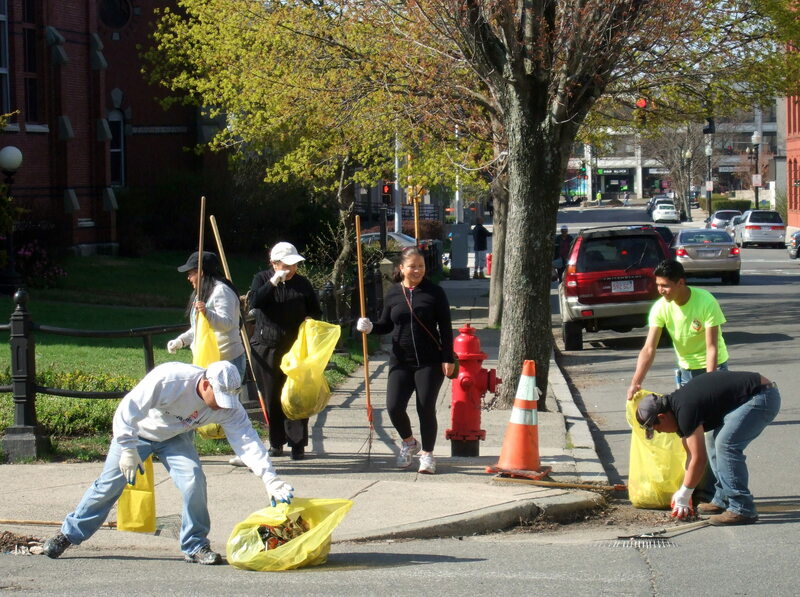 Then I read yesterday’s headline in the Item: Lynn Latinos Organize Downtown Lynn Cleanup. This was real. I had to check it out. 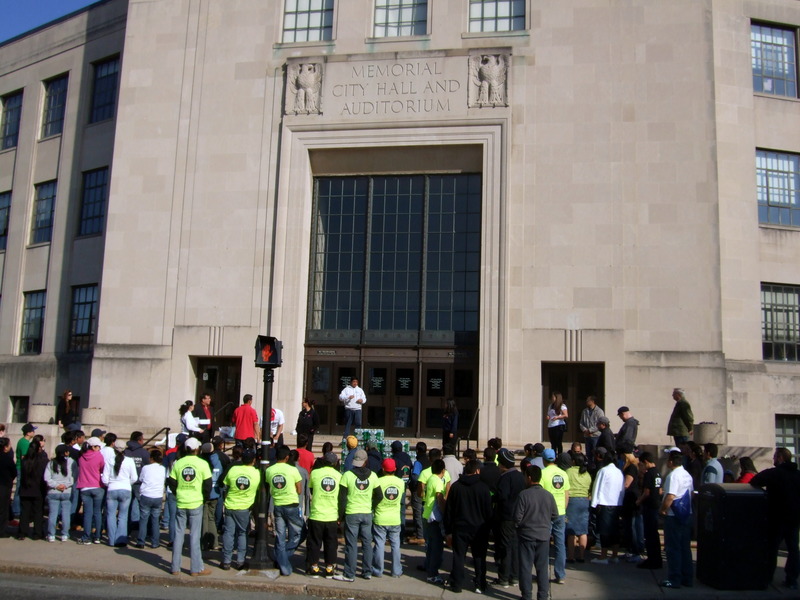 At 8:00 AM Saturday morning, I ventured down to city hall and met up with Juan and a small group of volunteers. They were moving potted flowers donated by City Councillor Richard Collucci from a pickup truck to the steps of city hall. Also ready to be deployed were 2 yards or fresh mulch from Mendez Home Improvement. As the morning progressed, more and more people showed up. People from the Iglesio de Dios La Profecia. 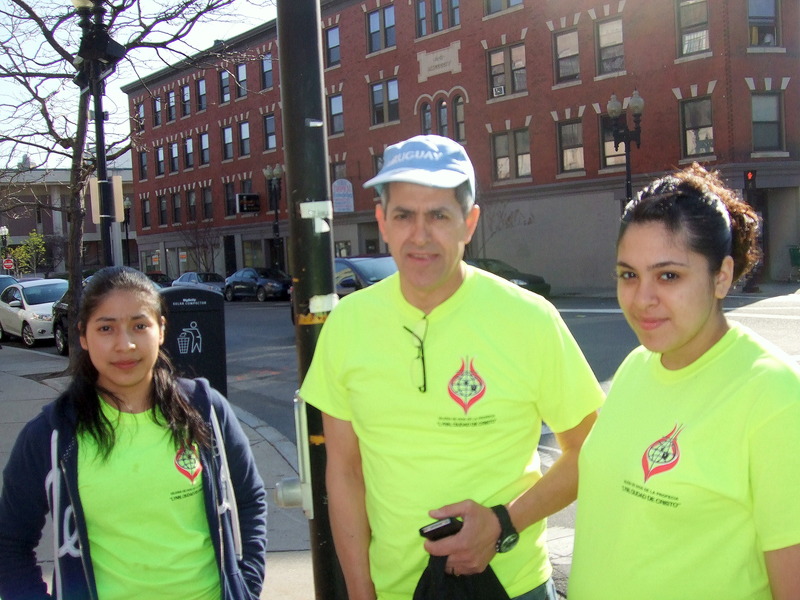 The pastor of that Lynnfield St. church, Eduard Caceres, and his daughter, Valeria, told me their congregations had cleaned the streets for 12 Sundays in a row last summer. People from Iglesia Casa de Adoracion, Iglesia Bisioncristiana, Iglesia de Dios del Espiritu Santo, all of them congregations in Lynn. 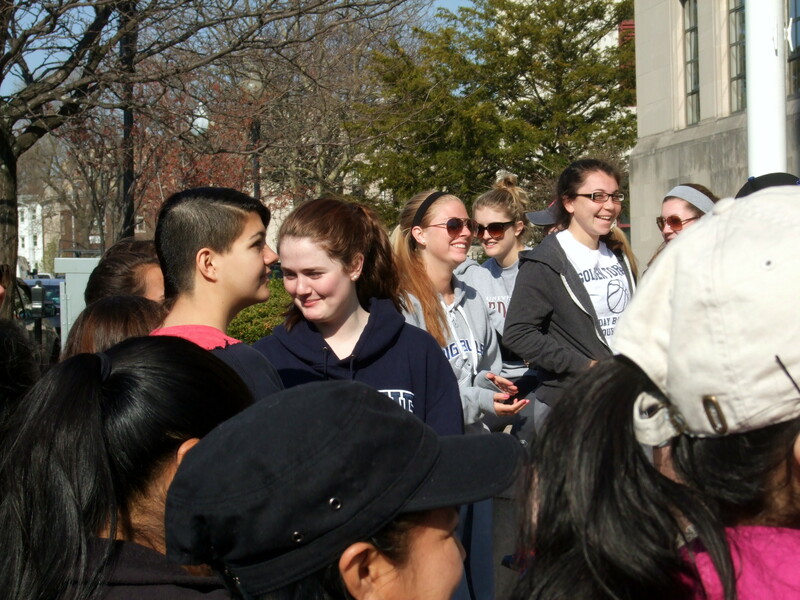 The Swampscott Highschool LaCrosse team was there. So were city council candidates Jesse Jaeger, Katerina Panagiotakis and Jake Keo, Director of Community Development, Jamie Marsh, and Corey Jackson from Arts After Hours. After some opening remarks, everyone gathered in the parking lot across the street. 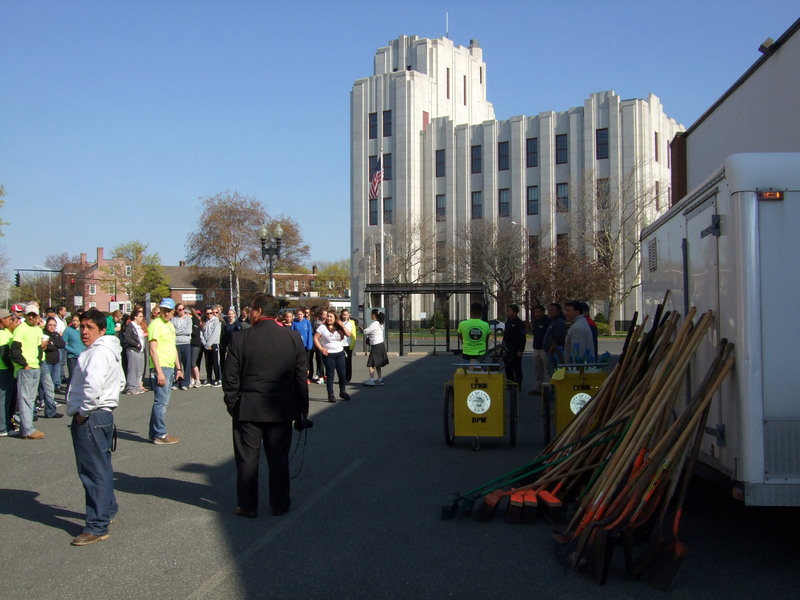 Leaders divided the assemblage into teams of 15 people, armed them with maps, DPW brooms and shovels and sent them out across downtown. Juan said that some would be knocking on doors, doing outreach, informing passersby and residents of their work. One team went up Essex St. My wife Karin said she saw some volunteers as far up as Eastern Ave. Later that afternoon, as we drove down Essex St., it looked spotless. It was a great day for the city. 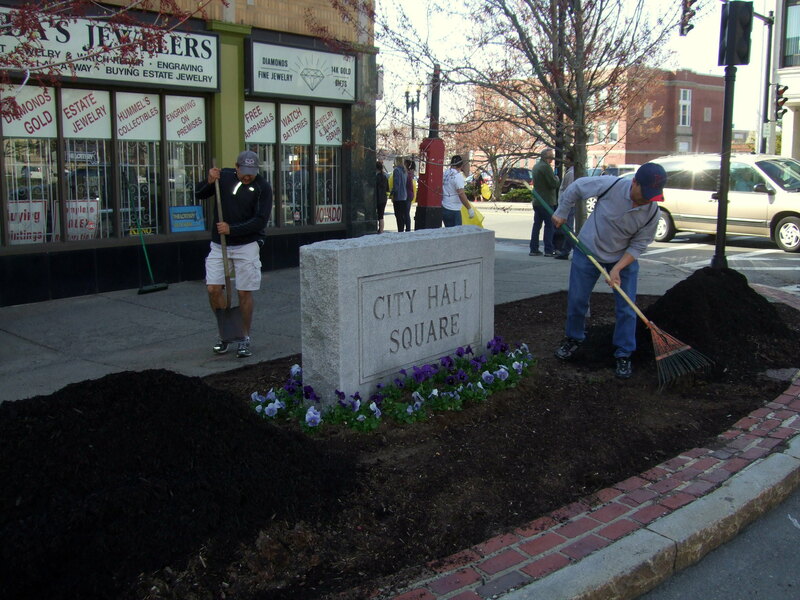 The Lynn Community Association was sprucing up Barry Park. There was a beach clean-up. 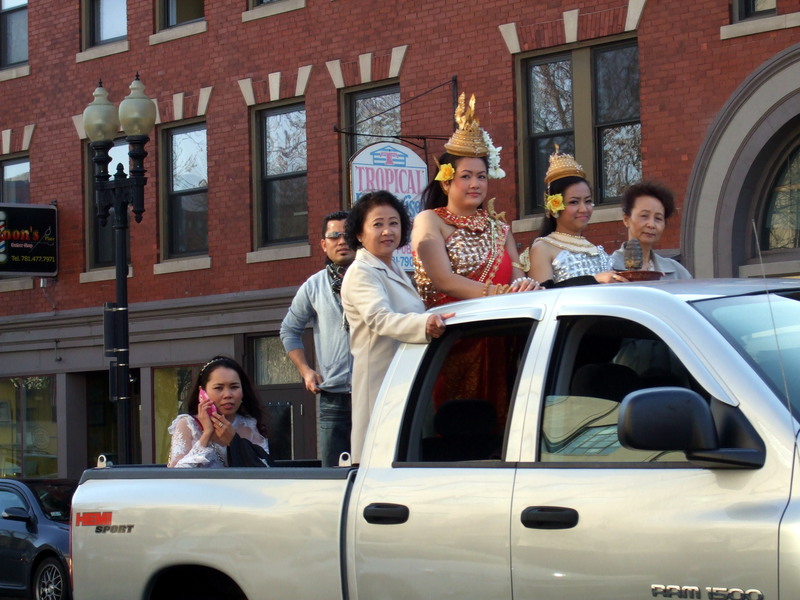 The Khmer New Year celebration was in full swing. In fact as Juan’s group was setting up, we heard gongs and music in the distance. They grew louder as the New Year procession drove through City Hall Square at 8:30.